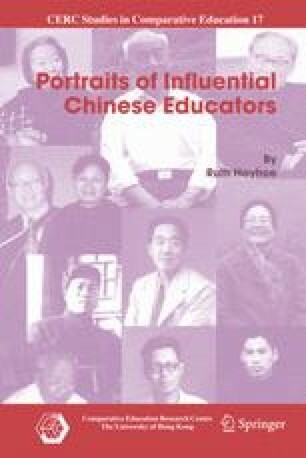 This chapter presents portraits of influential educators of two generations. Professor Liu Fonian belongs to the same generation as Professors Wang Chengxu, Li Bingde and Zhu Jiusi. He was born in 1914, and had a distinguished career before 1949, including some years in England, France and Germany in the late 1930s. He was a member of the organizing committee for the founding of East China Normal University in the early 1950s, and served as its president from 1978 to 1984. Without doubt, he was one of China’s most influential educational theorists between 1949 and the 1980s.